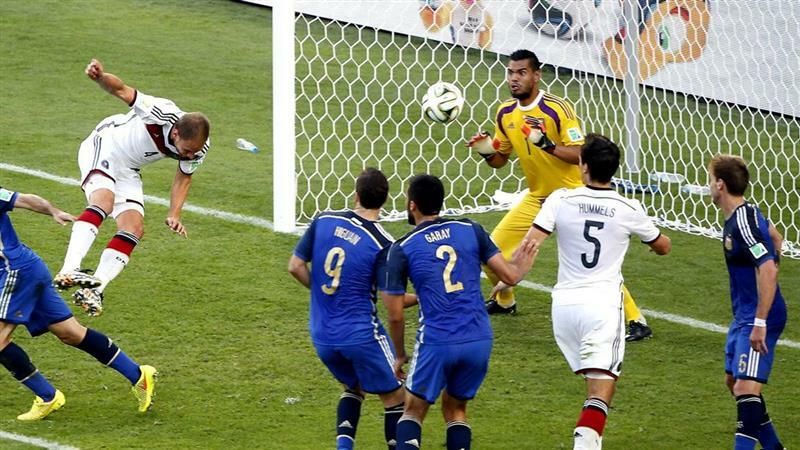 Both teams created some good chances but Higuain's could have given Argentina the requiered lead. 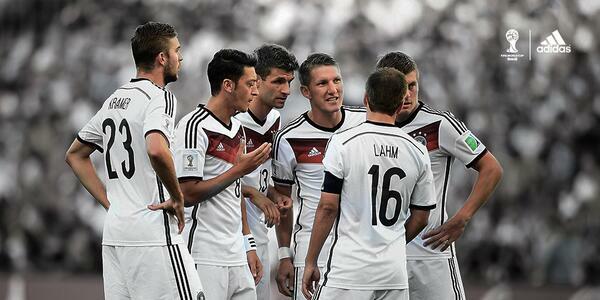 Argentina looked to have the better of the chances but Germany had a couple opportunities late in the half. More open play than expected. 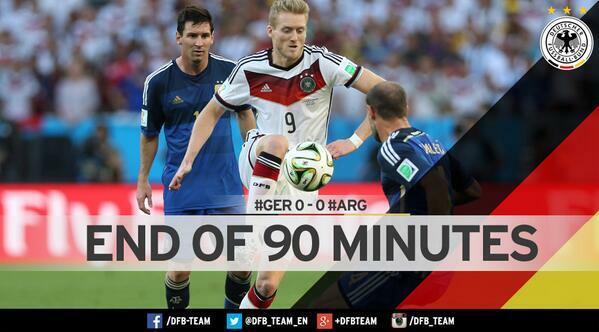 Messi created opportunities, but World Cup Final scoreless so far. 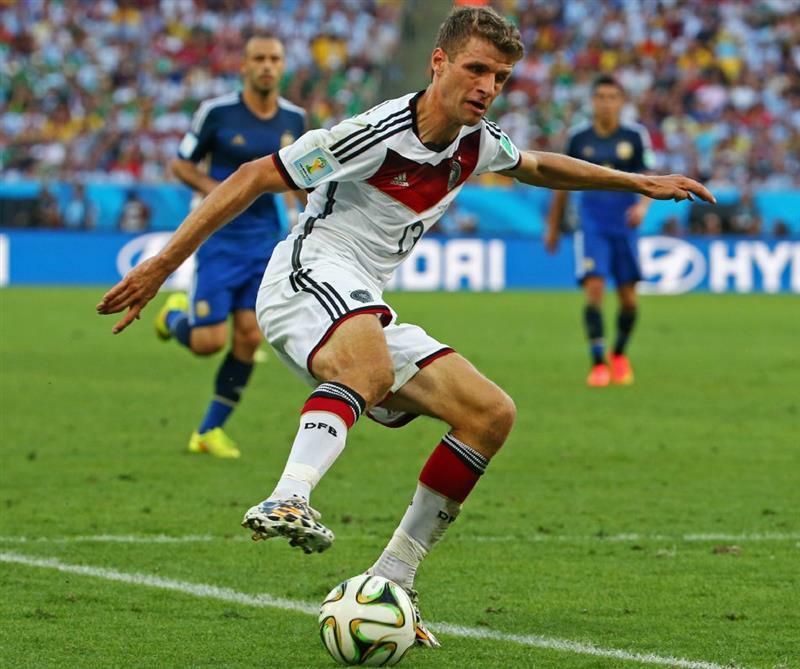 Germany's Thomas Mueller shows his ball-control skills in the first half. Lavezzi is off to make way for Aguero. Gives Argentina two forwards for Messi to use as options. Messi down the right finds room and tries to place it far post... Just wide of goal. Argentina with a bright start. 3 added minutes to find a winner. 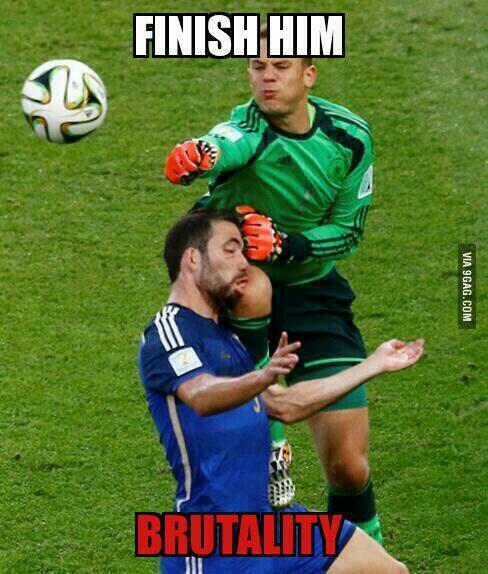 It has been a great World Cup. How about we extend it 30 more minutes? No team that won a semi after extra time and a shootout has ever won the final. Can Argentina reverse that? 7/13/2014 8:59:34 PM younitehumanity . Romero had to make good save again! 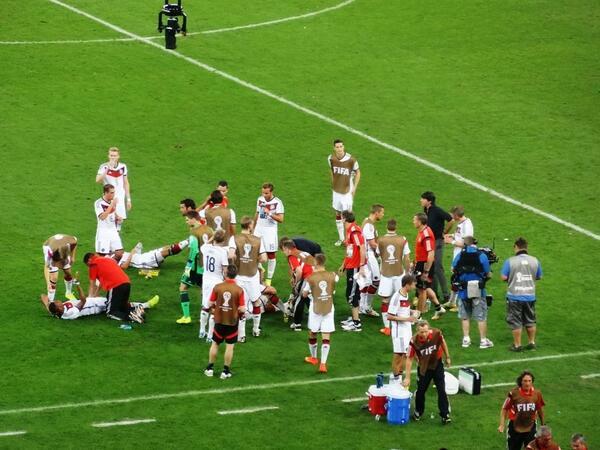 There has been one goal in the last 210 minutes of play in the World Cup final. Iniesta for Spain. Aguero finds a path for a cross but Messi stopped his run. Palacio with a chance to open the scoring but he makes a mess of it. It is a trend in the match: chances created, chances wasted. 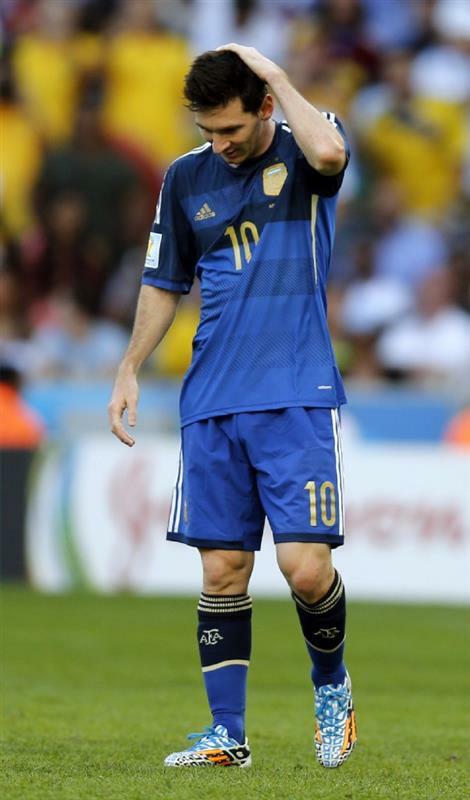 Argentina have seen little if the ball and Messi has all but disappeared in the first extra period. Palacio and Aguero just do not look match ready. Neither has the usual mastery of the ball. Angela Merkel stands up to cheer. Mario Gotze with a beautiful touch and finish. If this is the World Cup winner, it was a worthy one. Mert set to come on for Germany to defend deep balls in the air if there is a stoppage.